Prior to working on the light, firmly apply the parking brake, ensure that the ignition switch is turned to the LOCK position and turn off the lights to avoid sudden movement of the vehicle and burning your fingers or receiving an electric shock. Use only the bulbs of the specified wattage. Be sure to replace the burnedout bulb with one of the same wattage rating. Otherwise, it may cause damage to the fuse or electric wiring system. If you don’t have necessary tools, the correct bulbs and the expertise, consult an authorized Kia dealer. In many cases, it is difficult to replace vehicle light bulbs because other parts of the vehicle must be removed before you can get to the bulb. This is especially true if you have to remove the headlight assembly to get to the bulb(s). 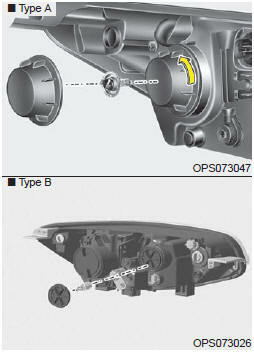 Removing/installing the headlight assembly can result in damage to the vehicle. Do not install additional bulb or LED. If you install that, the lamp may not be operated properly and fuse box or electric wiring system may have problem. After driving in heavy rain or washing, headlight and taillight lenses could appear frosty. This condition is caused by the temperature difference between the lamp inside and outside. This is similar to the condensation on your windows inside your vehicle during rain and doesn’t indicate a problem with your vehicle. 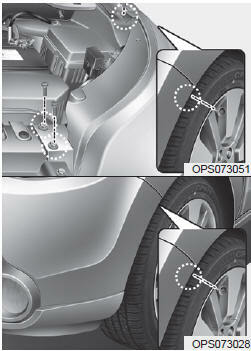 If the water leaks into the lamp bulb circuitry, have the vehicle checked by an authorized Kia dealer. If the headlight aiming adjustment is necessary after the headlight assembly is reinstalled, consult an authorized Kia dealer. Always handle them carefully, and avoid scratches and abrasions. If the bulbs are lit, avoid contact with liquids. Never touch the glass with bare hands. Residual oil may cause the bulb to overheat and burst when lit.A bulb should be operated only when installed in a headlight. Do not attempt to replace or inspect the low beam (XENON bulb) due to electric shock danger. If the low beam (XENON bulb) is not working, have your vehicle checked by an authorized Kia dealer. 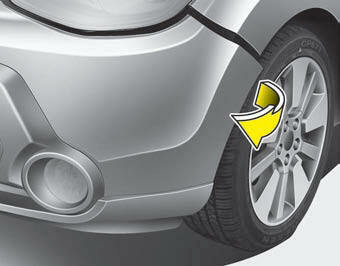 If the light bulb is not operating, we recommend that you checked by an authorized Kia dealer. HID lamps have superior performance vs. halogen bulbs. HID lamps are estimated by the manufacturer to last twice as long or longer than halogen bulbs depending on their frequency of use. They will probably require replacement at some point in the life of the vehicle. Cycling the headlamps on and off more than typical use will shorten HID lamps life. HID lamps do not fail in the same manner as halogen incandescent lamps. If a headlamp goes out after a period of operation but will immediately relight when the headlamp switch is cycled it is likely the HID lamp needs to be replaced. 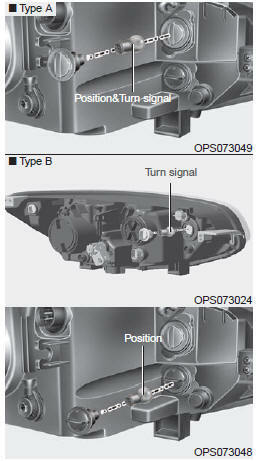 HID lighting components are more complex than conventional halogen bulbs thus have higher replacement cost. 1. Turn off the engine and open the hood. Disconnect the negative battery cable. 2. Disconnect the power connector from the back of the headlight assembly. 3. Loosen the retaining bolts. 4. Pull out the end of the front bumper. 5. Remove the headlight assembly from the body of the vehicle. 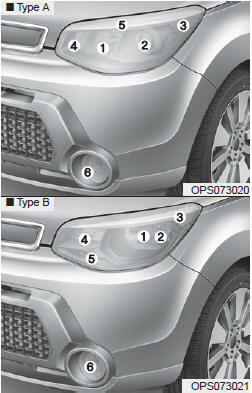 If you can reach the bulb without removing the headlight assembly, you do not need to do step 3,4 and 5. Follow the steps 1 to 5 from the previous page. 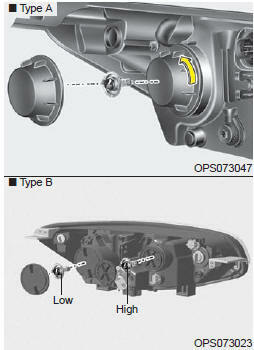 6.Remove the headlight bulb cover by turning it counterclockwise. 7.Disconnect the headlight bulb socket-connector. 8.Unsnap the headlight bulb retaining wire by depressing the end and pushing it upward. 9.Remove the bulb from the headlight assembly. 10. Install a new headlight bulb and snap the headlight bulb retaining wire into position by aligning the wire with the groove on the bulb. 11. Connect the headlight bulb socket connector. 12. Install the headlight bulb cover by turning it clockwise. 13. Connect the power connector to the back of the headlight assembly. 14. Reinstall the headlight assembly to the body of the vehicle. 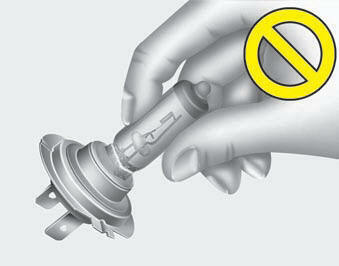 7.Remove the bulb from the assembly by turning it counterclockwise. 8.Insert a new bulb by inserting it into the housing and rotating in until it locks into place. 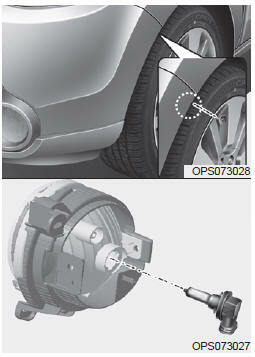 9.Install the headlight bulb cover by turning it clockwise. 6. Remove the socket from the assembly by turning the socket counterclockwise until the tabs on the socket align with the slots on the assembly. 7. Remove the bulb from the socket by pressing it in and rotating it counterclockwise until the tabs on the bulb align with the slots in the socket. 8. Insert a new bulb by inserting it into the socket and rotating it until it locks into place. 9. Install the socket in the assembly by aligning the tabs on the socket with the slots in the assembly and turning the socket clockwise. 10. Reinstall the light assembly to the body of the vehicle. If the light bulb is not operating, have the vehicle checked by an authorized Kia dealer. 6.Remove the socket from the assembly by turning the socket counterclockwise until the tabs on the socket align with the slots on the assembly. 7.Pull the bulb out of the socket. 8.Insert a new bulb into the socket. 9.Install the socket into the assembly by aligning the tabs on the socket with the slots on the assembly and turning the socket clockwise. 1. Remove the front bumper under cover. 2. Reach your hand into the back of the front bumper. 3. Disconnect the power connector from the socket. 4. Remove the bulb-socket from the housing by turning the socket counter clockwise until the tabs on the socket align with the slots on the housing. 5. Install the new bulb-socket into the housing by aligning the tabs on the socket with the slots in the housing. Push the socket into the housing and turn the socket clockwise. 6. Connect the power connector to the socket. 7. Reinstall the front bumper under cover.